Aging depends on your lifestyle (smoking, sun exposure) and genetic determinism. The cervicofacial lift can raise different parts of the face that are released as a result of time … and gravity. The cervicofacial lifts up face (cheek, oval face, neck)..
A breast implant is a medical prosthesis used to augment, reconstruct, or create the physical form of breasts. The prosthesis can be inserted (incision) in the axilla (armpit) or by the areolar (lower part of the areola). It may be partial (just the tip) or total (on all sides of the nose). Of all interventions this one is the trickiest. It requires a total agreement between the surgeon and the patient. Several consultations are required before surgery, including MORPHING. You may ask yourself if it is possible to change the shape of your body, in case too much fat is bothering you. This is what lipsuction is for The results are specatucular, even more so if realized on patients with elastic skin texture. Breast lipofilling or breast lipomodeling is an intervention with the aim of increasing breast size without prosthesis. It is based on the fat sampling technique of donor sites. The eyelids can start to hang down over time (blepharoplasty), get wrinkled and have a fat deposit. 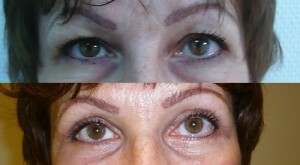 Blepharoplasty can affect the upper eyelids and / or the lower ones. 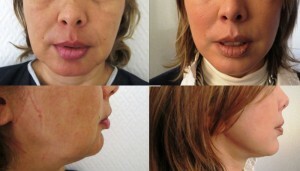 This surgery isa surgery of “good looks” designed to give a natural and refreshed look. Due to the loosening of the skin, abdominal muscles, and often also an excess fat, this intervention has a poor reputation: pain, risk of phlebitis. This is a real surgery which gives excellent results, but requires great technical operative quality. 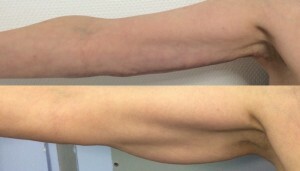 This surgery is retightening the skin of the inner arms. The Clinique Sainte-Geneviève is located in the south of Paris, at 29 Rue Sarette, close to the Porte d’Orléans. Our main activity is plastic surgery and dermatology, with a team of fifteen practitioners, all having their competence recognized by the French College of Plastic, Reconstructive and Aesthetic Surgery. We also have a team of gastroenterologists, ENT doctors and ophthalmologists as well as an urologist dealing with problems of incontinence. 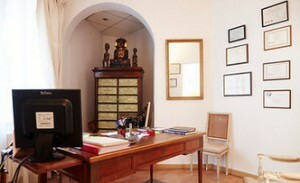 There is also a service dentistry specializing in dental implantology. Learn about various techniques of cosmetic surgery on our video page.